I’ve ran eight half marathons in the past three years (the first was a turning forty ‘gift’ to myself – all be it in an incredible location – Solvang, California) and only once thought about running a full marathon – last year. I actually signed up and started the training, but struck an injury on a long run (26km) and changed my entry to a half marathon (Rotorua Half Marathon). 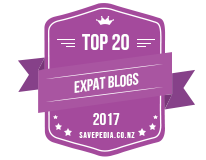 This time around I’d been spending lots of time on my feet – walking, running, but not particularly long distances. 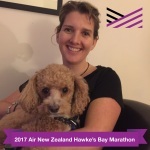 I ran a half marathon in February, and no further than that, until my first marathon on 13th May 2017 – The Air New Zealand Hawkes Bay Marathon. I only signed up a fortnight before. 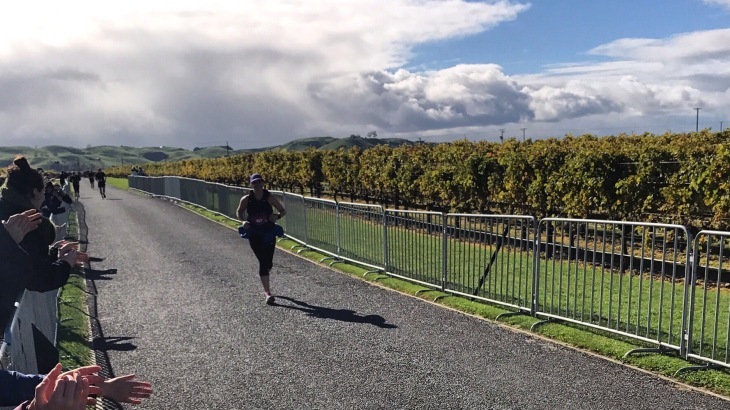 The inspiration came from completing ‘The Greatest Virtual Challenge‘ – which I’d signed up for in April and completed 150km for an autism fundraising initiative. 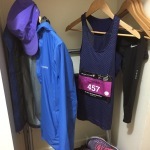 Then May came around and I realised how great I was feeling, mentally (most importantly to me) as well as physically, and wanted to continue with the goal of 150km for May – I decided to throw a marathon into the mix for crazy sake – a ‘gift’ to myself for Mother’s Day (which is celebrated the second Sunday in May in New Zealand)! I was also inspired by two incredible Kiwis, Mal & James, (and their supportive other halves) to sign up for ‘My May Challenge‘ to raise funds for the Mental Health Foundation of New Zealand. These two chaps set out to spend 26 days in May running an unthinkable 1700km around Wales as a fundraiser for the Mental Health Foundation of NZ (& UK). If they could do that then surely I could run a meagre 42km in one day during May – plus some 150km – making a total of nearly 200km in the month. Easy peasy! Only, I home educate two daughters and hubby works full time, plus I have a third daughter who is really busy at school with many extra curricular commitments that require taxi driving.. and it’s coming up to our shortest day in NZ (20 June) and daylight hours are dwindling (and I’m a chicken running alone in the dark), so achieving this goal has taken me some careful organising and effort, but I’m NEARLY THERE! 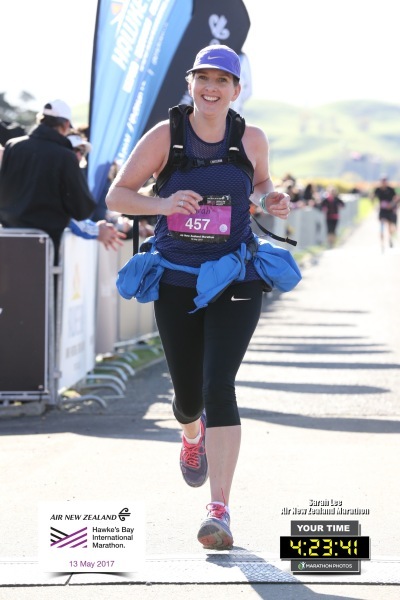 The last kilometre of the Hawkes Bay Marathon. 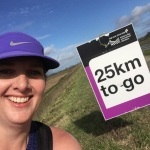 I’ve ran 171.05km out of my goal distance of 200km and have a few more days to finish my distance (if you can sponsor me please visit my fundraising page). Anyway, the marathon went well – surprisingly so! I set out at a much slower pace than I would tackle a half marathon and planned to keep my heart beat around 150bpm. I took real food (banana and yummy ‘frooze‘ balls) and enjoyed the ‘Pure Sports Nutrition‘ drinks at the drink stations (as well as water). I didn’t carry water in my pack, as there were stops every 5km, but I preferred to stash my food supplies on my back than in pockets (bananas don’t squish that well!). In the first half I chatted away to fellow runners, took my time at the drink stations to thank the volunteers and keep my body feeling energised. I felt a little blister threaten on one foot, around the 10km mark and cursed myself for choosing the wrong socks to wear – but a quick blister cushion rescue plaster kept me fine for the rest of the run. At the mid-way point I treated myself to a banana and felt surprisingly strong. 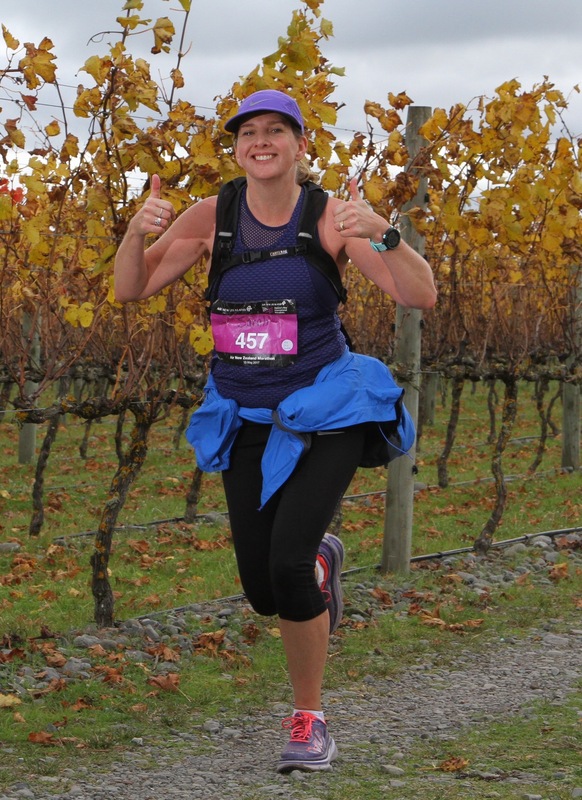 The course was very flat (so all my hilly walking and jaunts with my dog in Wellington had prepared me well), on mixed terrain (which I actually prefer as I get bored of running on road for too long). 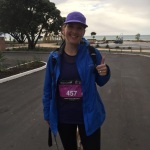 There was a strong south westerly wind for the whole run – mostly a headwind, but again my training on the south coast of Wellington came into play and I just kept on running. The second half I felt mentally strong and only had a few aches in my legs – but my general energy was good and I didn’t feel fatigued. I was grateful for the supporters along the course and enjoyed saying ‘good day’ to them and smiling at the cameras – I read once that it takes more muscle energy to frown than smile, so I always try to keep a positive game face on whilst running (which probably looks more like a grimace to onlookers – but believe me when I’me saying that I’m smiling on the inside!). I had the thought of my hubby and children waiting for me at the finish line to keep me pumped and I was conscious that I didn’t want them waiting around too long – which all helped me to keep my legs propelling forward at a decent enough pace for a first timer that hadn’t run much distance. 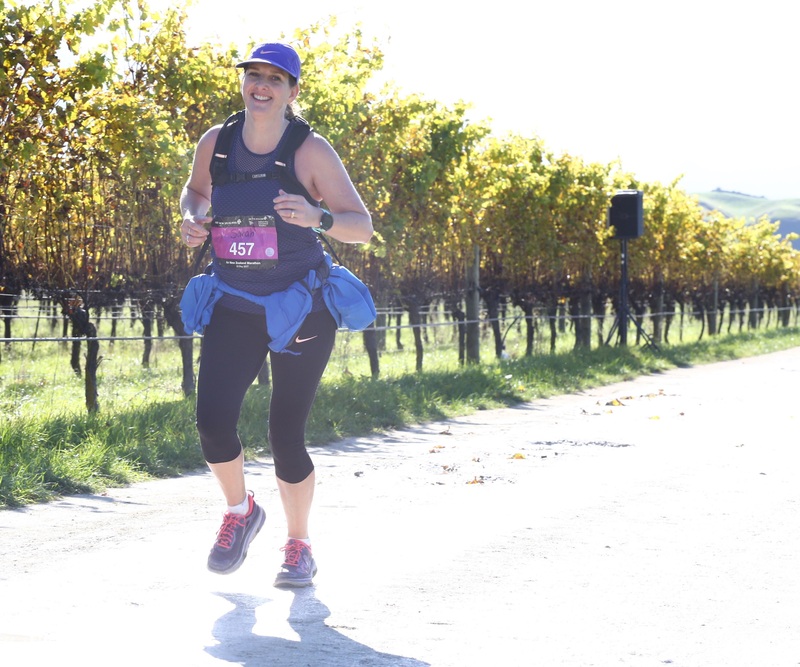 I couldn’t believe how good I was feeling in the last 10km. 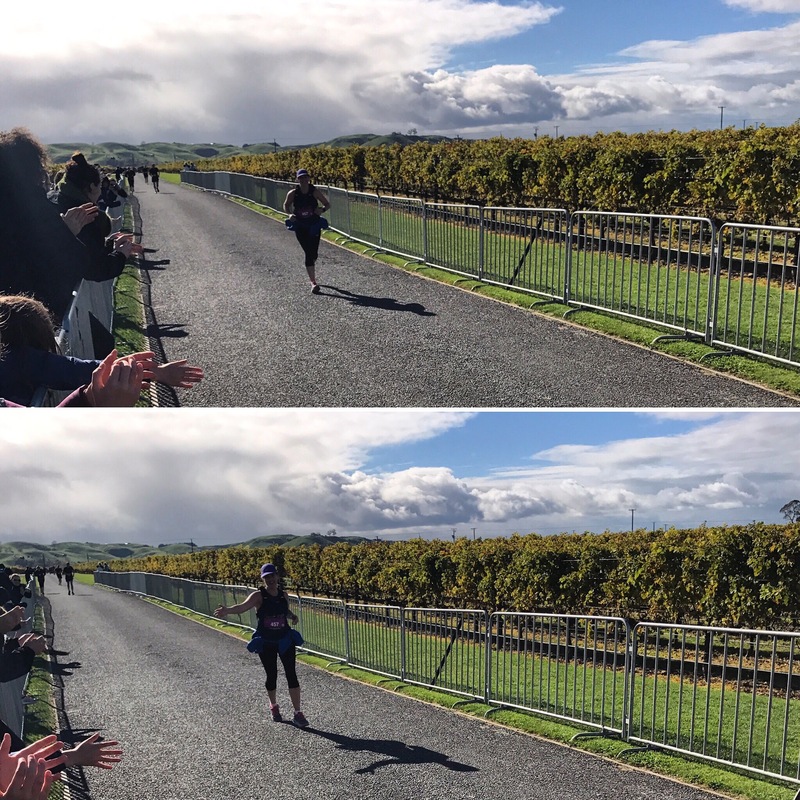 I was genuinely surprised (as I’d set out to simply finish my first – hopefully within five hours – but even if I had to walk the whole of the second half I was going to finish it). 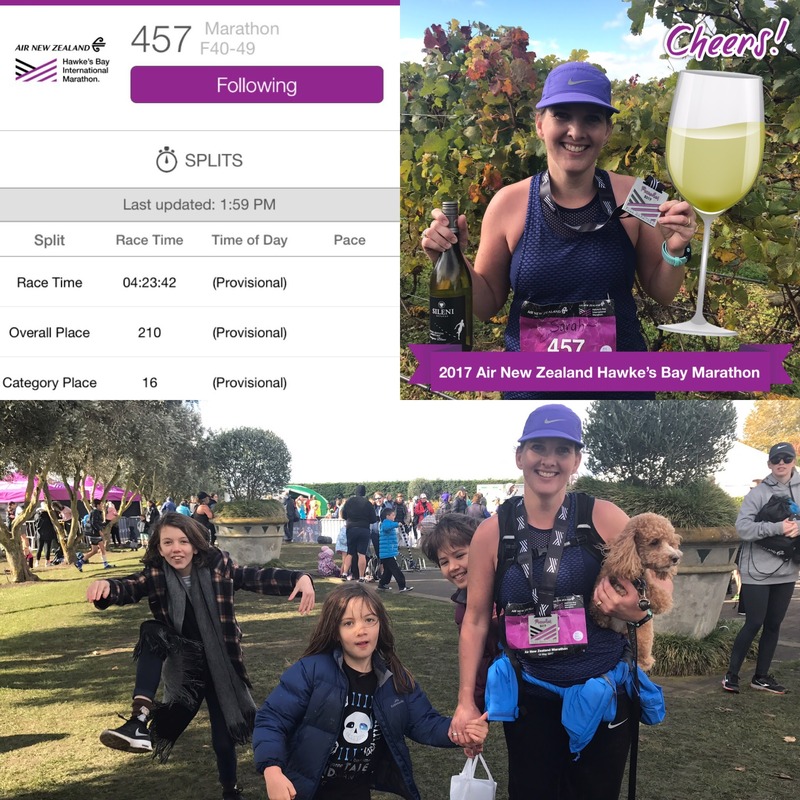 Family to meet me at the end (and a bottle of wine with my finisher’s medal – whoop, whoop!). I finished in 4 hours and 23 minutes, which I was really delighted with (especially with that head wind to slow me down!). Will I do one again? Most definitely – but only when the impulse strikes and time allows (a great destination helps too – the family are much easier persuaded to join me!). 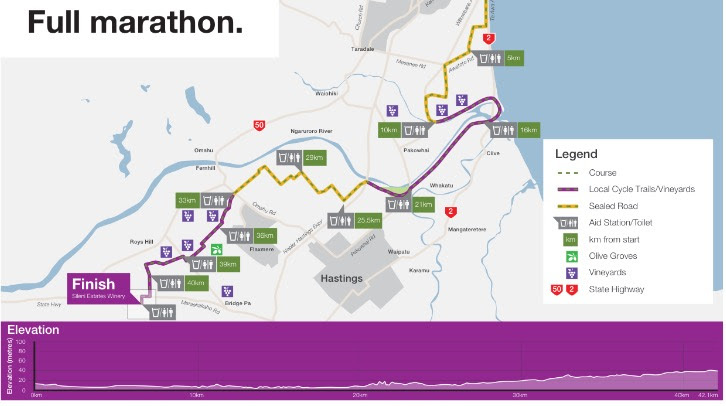 For the Hawkes Bay Marathon we drove up from Wellington to Napier on Friday afternoon. Whilst I ran the marathon on Saturday morning the family enjoyed a leisurely breakfast and play. 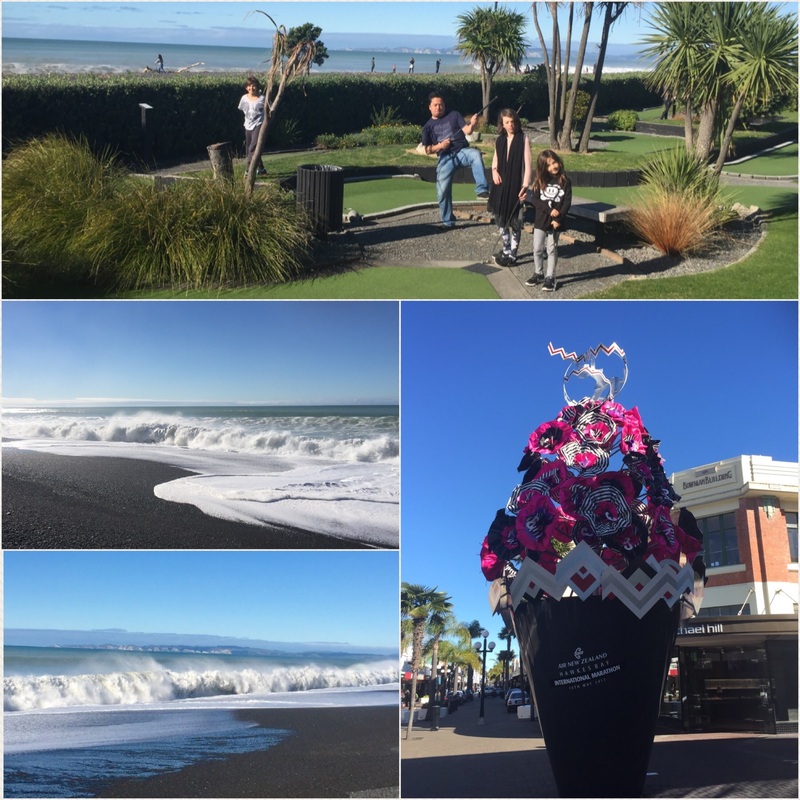 We spent Saturday afternoon relaxing in the Ocean Spa pools on Napier’s Marine Parade and then enjoyed a lovely family day together on the Sunday (the four to five hour drive back Sunday avo wasn’t too bad either – split up with some cool playground stops!). 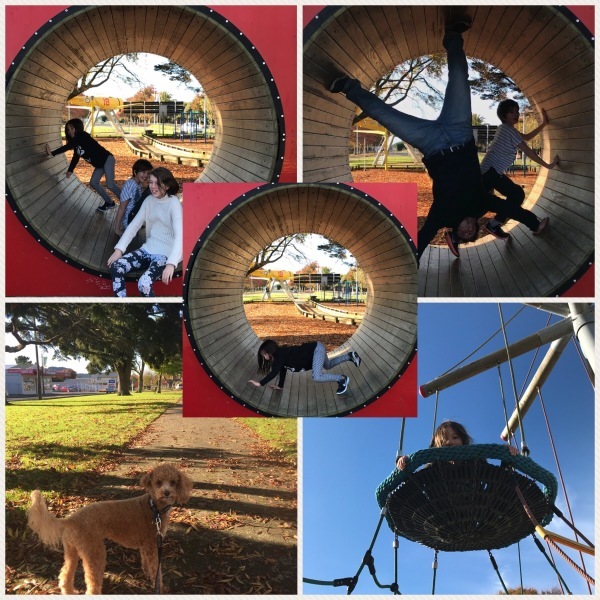 Playground stop on the drive back to Wellington! 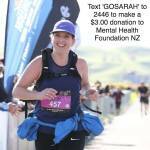 Header, Running, Sarah charityrun, fundraising, Hawkes Bay, marathon, mental health foundation, napier, running. permalink.